Part I: Injury to Impasse, is a memoir about the journey from injury to success as a Doctor of Chiropractic and Rubenfeld Synergist. Part II: Impasse to Insight, shares topics that the author feels are vital to personal healing on all levels of Being. The physical, mental, emotional and spiritual aspects of being human are intertwined and interacting constantly in our daily lives. INTUITION is the bridge between the consciousness of the ego and the awareness of the soul. The ego is bound by the limitations of the senses, involved with the material world of change. Intuition links us with our true essence, our soul nature of omniscience, omnipotence and omnipresence. Intuition Mastery is the study of this bridge and how to notice the signals and messages from our soul. These messages are constantly being sent to and received by our body/mind. These messages are waiting to be perceived by the intellectual mind. 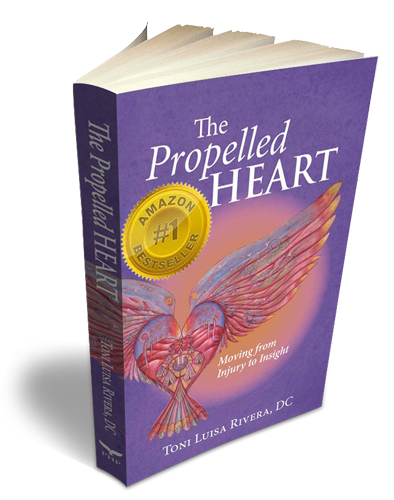 We can learn to tune into this innate intelligence of the intuitive heart. All humans are intuitive. Our naturally occurring sixth sense, just beyond the senses of sight, hearing, tasting, smelling and touching. We have all had the experience of knowing something, without any outward way to know what we know. The phone rings and we know who is on the other end before picking up the receiver. We think of some long lost friend or relative and they call or appear at some unexpected place. We have a dream that comes to pass. Or have a feeling of something having happened to someone we love, and have it borne out to be true. These are signs of that intuitive ability that most people leave undeveloped. We can learn to enhance our access to the wisdom of the soul.